Home / kpop / masc / music / news / tour / MASC is touring Malaysia for over a week this December! Woosoo, Heejae, Ireah and Moonbong won’t just be stopping by the usual promo location (capital city KL) either – they’ll even be meeting their fans in Miri, Ipoh and Kota Kinabalu! 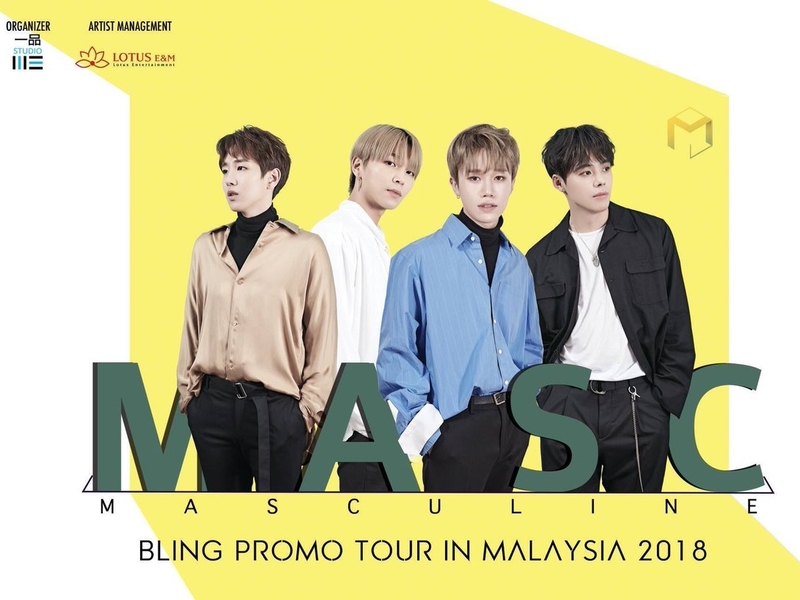 “MASC BLING Promo Tour in Malaysia 2018” will kick off from Saturday, 22 December, until 31 December, Monday, during which the four boys will be making their way from the East Malaysian states of Sarawak and Sabah to the West Malaysian state of Perak and finally the nation’s capital Kuala Lumpur. The venue, date and time details for “MASC BLING Promo Tour in Malaysia 2018”. Find out more about the activities and merchandise available on YiPin Studio’s Facebook page. To the uninitiated, MASC, derived from the word Masculine, is a four-piece boyband that debuted in 2016 and later added on more members in 2017. After the departure of several members, the remaining members are now making their first comeback with a new album since the boyband’s last release a year ago. where do u get the tickets?? ?